Bio – Dayna Young, M.M. Dayna earned a Bachelor Degree in Business-Management and Human Resources, with a Minor in International Business from Utah State University, as well as an International Studies Certificate from the BYU Jerusalem Center for Near Eastern Studies. She went on to earn a Master of Music Degree in Violin Performance, from New Mexico State University. She excelled in her studies under the tutelage of Daniel Vega Albela and Blake Espy of the Latin-Grammy winning La Catrina Quartet. She also studied privately with Michael Fedkenheuer of the Miro Quartet. Dayna has played professionally with the Harrogate Philharmonic Orchestra, the San Antonio Messiah, the Las Cruces Symphony Orchestra, and with the Colorado Springs Chamber Orchestra. She performs two solo recitals each year to bring violin music to the communities where she resides. Dayna has performed at venues around the world, including Belgium, France, Luxembourg, Finland, Israel, the USA, and the UK. She enjoys teaching, learning from other musicians, and performing wherever she lives. Dayna loves to practice, teach, and research. 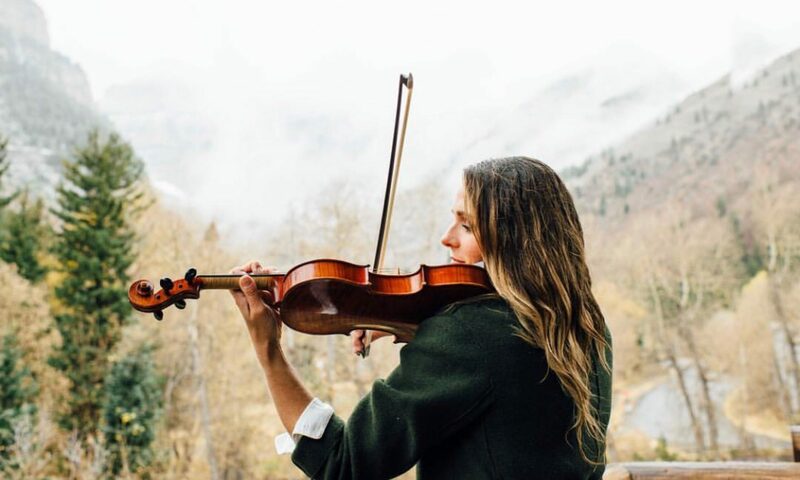 Having 22 years experience, she enjoys teaching private lessons for violin, and also piano, her second instrument, to students of all ages and abilities at her private studio in Colorado, as well as via Skype or FaceTime for students around the globe.